East Gippsland Water has appointed Steve McKenzie as its new Managing Director. Steve will commence duties with East Gippsland Water in early October. 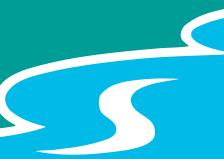 Said East Gippsland Water’s Chairperson, Joanne Booth “The Board is delighted to be able to appoint Steve to the position of Managing Director. Steve has over 30 years water industry experience, most recently being employed with Goulburn Valley Water as the General Manager of Technical Services. With 20 years’ experience in Senior Executive roles, Steve has led major strategic change initiatives and has a thorough understanding of the complex customer, regulatory, economic and corporate governance challenges confronting the water sector. “Steve has tertiary qualifications in Civil Engineering, a Graduate Diploma of Management and has completed the Directors Essential Program of the Australian Institute of Company Directors. He is also an active member of industry associations including VicWater, Water Services Association of Australia, the Institute of Water Administration and the Australian Water Association. The appointment of Mr McKenzie comes as the current and highly respected Managing Director Bruce Hammond retires. Mr McKenzie said he was delighted to be taking up the new position at East Gippsland Water and said he is committed to ensuring the corporation’s excellence in customer service continues. “East Gippsland Water is well regarded in the local community and within the wider water industry and I am looking forward to the opportunity to join the corporation as Managing Director and moving to the region” Mr McKenzie said. Steve McKenzie is due to commence with East Gippsland Water on 1 October 2018.